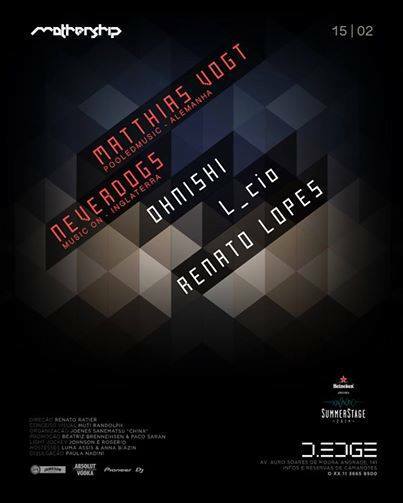 Next saturday, in the prestigious location of D.Edge, San Paulo (Brasil) will play Neverdogs, plus Matthias Vogt, Renato Lopes, L_cio and Ohnishi! For Neverdogs, which are a truly appreciated duo of Dj’s and Producers, is another important step in the Brasilian tour..waiting for their return in Ibiza! Here you have the poster of the event..and..if you are in San Paulo..don’t miss it! ‹ Tonight, Bambu’ Ibiza, Mix & Food!